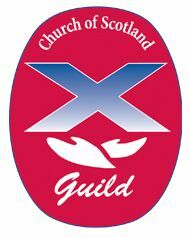 With around 30,000 members, the Church of Scotland Guild is one of Scotland's largest voluntary organisation. Although women make up the bulk of our membership, increasingly, men are becoming members and taking active roles at local and national levels. Members meet in local groups at congregational level, in regional groups known as presbyterial councils, and once a year at our national meeting, to which each group can send a representative. The Guild meets normally on Mondays at 2:00 p.m. in the Session Room and offers a unique opportunity to enjoy the company of a lively group of women who engage in a variety of interesting and challenging programmes featuring special speakers, topical themes, demonstrations, illustrated talks etc. session which are greeted enthusiastically by all. If you wish to find out about the rest of the Syllabus for 2018 - 2019 then please download the link below or better still come and join us. See you at The Guild!!! The Guild Programme October 2018 to March 2019. Click image to download. ​Thank you for all those who supported the Guild Autumn Tearoom on Thursday, to help raise funds for Peter McEleny’s Relay Year in Dundee.